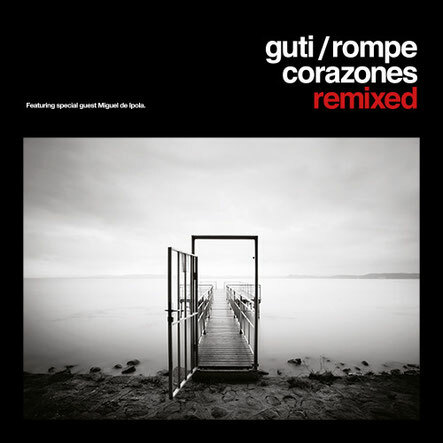 Released in the summer of 2014, Guti’s ‘Rompecorazones’ saw possibly one of the brightest, most creative stars of the electronic underground going back to his musical acoustic roots. Incorporating elements from a vast array of disparate styles, the end result challenged listener’s preconceptions of Guti. Now, these highly personal records have been revisited and reworked by arguably some of the electronic music scene’s finest house and techno producers, each of whom deliver sensitive reinterpretations with the dancefloor very much at the forefront of their intentions. 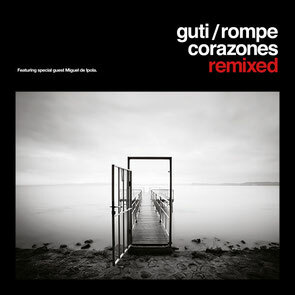 The full roll-call of producers involved in ‘Rompecorazones Remixed’ is impressive in scope: Carl Craig, Osunlade, Reboot, Nic Fanciulli, Charles Webster, Damian Schwarz, Andrea Oliva and Livio & Roby, with Guti himself also contributing a Club Mix on album highlight ‘La Salida’. Planet-E founder and Detroit producer Carl Craig leads the remixes, laying the plaintive piano line of ‘El Solitario’ over a throbbing, acid-flecked techno. Other standout remixes include Reboot’s epic restructuring of ‘We Love You’ and Osunlade’s deep house version of ‘Hurt’. The producers involved have managed to preserve the heart and soul of Guti’s originals, whilst imbuing enough of their own personalities into the remixes to create something equally good. It’s out 15 February 2015 on Defected Records.